Articulate, authentic and actualisation are three carefully chosen words which perfectly sum up AMERICAN MIDDLE CLASS, the excellent debut album by Angaleena Presley. Penned with extreme eloquence and enlightenment by Angaleena and her team of writers, all twelve tracks pin the album firmly in the camp of contemporary country traditionalism and creatively capture the realism of an individual perception on life. The skill and panache adapted to this record is a credit to Angaleena who now has a product to break out from her Pistol Annies days and demand the attention of an industry consistently wriggled with commercial conservatism. It is worth noting that there is a perceived difference with the term ‘middle class’ between our two nations with Angaleena’s upbringing being far from as comfortable as the phrase suggests over here. However Angaleena felt there was an untold story that needed to be shared and the challenge is not to be impressed with the outcome especially when we match up lyrical content with theme, song structure and a concoction of sounds to thrill the purists. Whether or not the masses have been exposed to issues surrounding religion, drink, poverty, marital disharmony and unplanned pregnancies, Angaleena doesn’t shy away from any of them, often in autobiographical mode. However a serious candidate for the strongest track on the album is a marvellous melange of mundane observations and ‘Grocery Store’ is certainly an ode to gritty realism rather than the search for escapism. The bar for high level engagement is elevated to stratospheric heights for the pedal steel driven ‘Dry County Blues’ as Angaleena uses the medium of real country music to take a lyrical snapshot of the less salubrious aspects of life, introducing us to the wonderful phrase ‘pillbillies’ along the way. Partnering the production duties with her husband Jordan Powell has worked wonders for Angaleena, as free from interference, they assembled a top team of players and writers as well as finding an ideal outlet in the form of Slate Creek Records. Their previous release 12 STORIES by Brandy Clark received cemented acclaim from influential sources and potentially acted as a blueprint to the depth of observational substance strived for in AMERICAN MIDDLE CLASS. Matraca Berg, Lori McKenna and Mark D. Sanders are three examples of the high calibre of writer to collaborate on the record as Anglaeena switched between solo and co-write status for each track. One of the former was a song Mark and she wrote a few years back when Heidi Newfield cut the track ‘Knocked Up’ on her 2008 album. 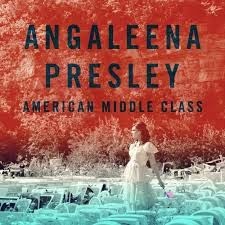 Probably the most talked about solo write on the record is the title track ‘American Middle Class’ which took its inspiration from the musings of Angaleena’s coal miner father and the decision to merge their spoken format into the song works wonders. This extended piece of social commentary provokes both thought and debate with the speech sampling being a technique also applied to Angaleena’s take on religion ‘All I Ever Wanted’. The themes roll on with ‘Pain Pills’ focussing on one angle of addiction and has the Pistol Annies sound stamped across it. ‘Drunk’ is made of solid country music staple stock in the tradition of the iconic trail of female performers, while ‘Life of the Party’ is another song awash with an everyday theme. This track has the potential to reach out to listeners who perhaps are free from many of the issues dealt with on the record but can identify with the subject of the song. All the usual sounds you associate with country music appear on the record with a more leftfield segment being some glorious soulful keyboard work on album opener ‘Ain’t No Man’ where a deluge of ironic similes serve as an enticing starter to the prose of the record. ‘Better off Red’ and ‘Blessing and a Curse’ are further fine examples of how the sound keeps you hooked for the 47 minute playing time and album closer ‘Surrender’ ponders a resigned train of thought with a catchy groove to belie the message of the song. 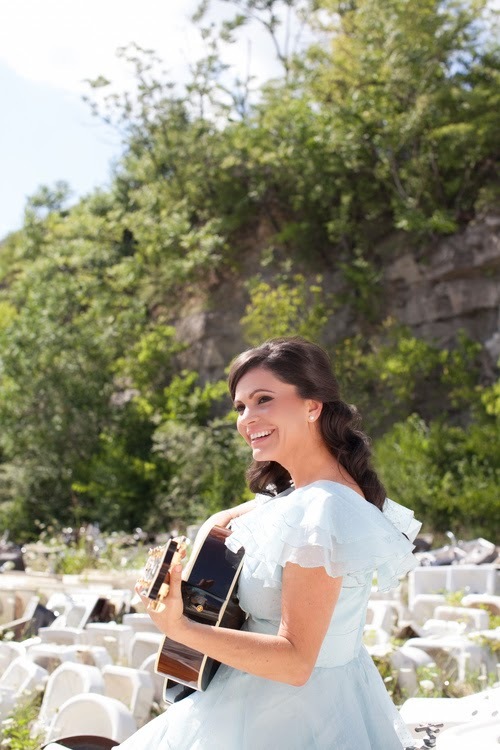 Even if you are a listener who does not identify with the theme of each song, engaging, understanding and believing in the thoughts and words of Angaleena Presley is impossible to avoid. AMERICAN MIDDLE CLASS is another release to prove that female country music output outside of the mainstream is at the top of its game and where the spirit of the genre resides. Don’t construct your end of year highlights list without listening to this record first.